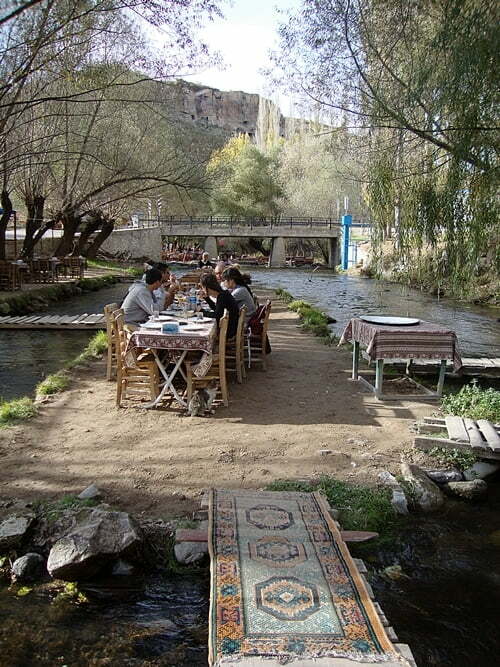 Ihlara valley in Cappadocia is a place that you will either love or hate. It is a 14Km hike through a gorge that was formed thousands of years ago when there was an earthquake and volcano eruptions one after the other. If you don’t want to complete a full 14km trek, there are four entrances and exits situated at various points. Just completing 4km of the Ihlara Valley trek will amaze you and remind you about the power of Mother Nature. The entrance that I walked down was 365 steps but there are other entrances where you can drive straight down to the gorge. 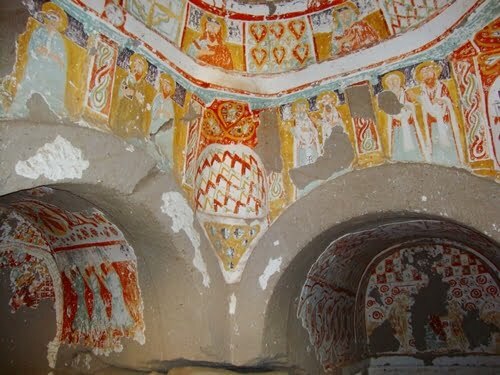 Along the trek are four ancient Christian churches that were made hundreds of years ago when people carved into the rock and made caves their homes and places of worship. You can see still paintings on the rock face that were made all those years ago. Pack plenty of water bottles to drink along the way because even though there is a tea garden and restaurants along the trek, you will definitely build up a thirst. The food at the restaurant was good if your taste buds had previously lost the will to live, otherwise I would take a packed lunch if walking makes you build up an appetite. 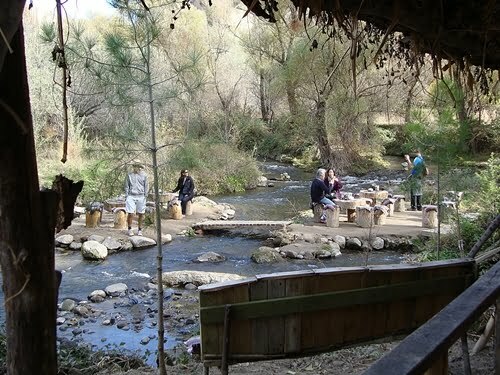 I went to the Ihlara valley as part of a day tour that I had booked. We spent about three hours there and that included having lunch. If you are the type of person who loves walking and sightseeing then I would suggest skipping the tours and coming here independently so that you can spend a full day taking in the surroundings at your own pace. We were with a group of eight other people and I felt the walk through the gorge was too quick. We only completed 4km but in this time, I would have liked to stop and take in the beauty of the Ihlara Valley. 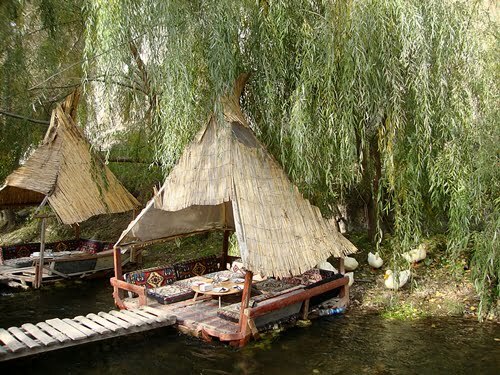 I also would have liked to visit the small village of Ihlara nearby, and take in the ambience of how Turkey really is. Readers that know me, will also know that I live in Altinkum which is a Turkish town geared up for tourists. It has lost its authenticity where as one look at Ihlara will tell you that they have been totally unaffected by the thousands of tourist that visit there every year. 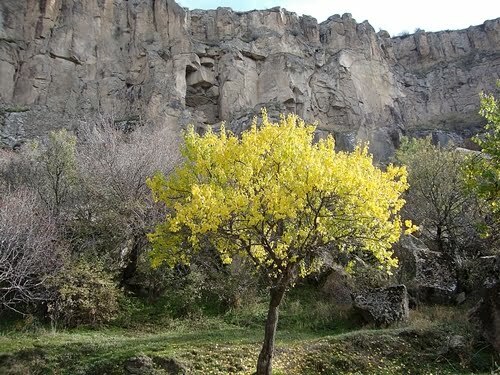 This walk is definitely getting in touch with nature in its prime and even if you only complete 4km of the trek, I strongly recommend you put it at the top of your list of things to do when in Cappadocia. 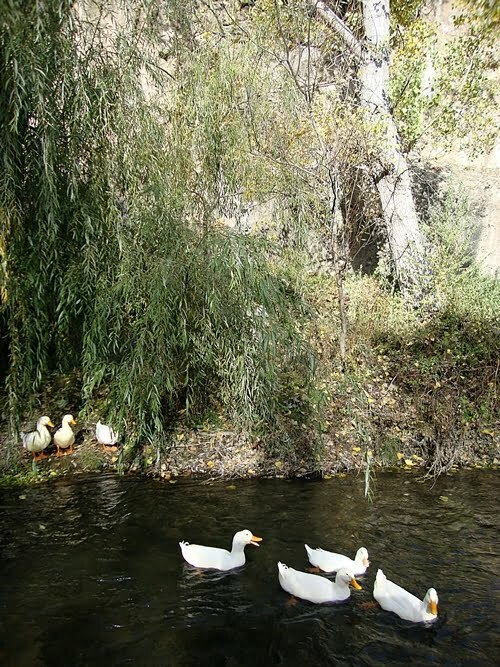 The Ihlara Valley tour was part of my travels around the Cappadocia Region. Hi Danielle, I can’t remember because we signed on as part of a group tour so it was a set fee for transport, guides, entrance etc. It is well worth it. Don’t forget to have lunch there. I have already been to Ihlara Valley, and it has been amazing. 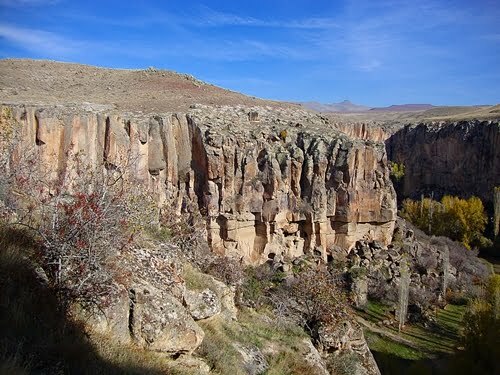 My grade and I are going to go back to Cappadocia in two weeks, and we are going to see Ihlara Valley. Do it soon Angela. I sense you are missing Turkey and Cappadocia is a wonderful place. Wonderful, the more I read about Cappadocia, the more I feel like going back to Turkey and spend some time traveling around. Hi Marana, Yes, there are ticket booths at the entrances and they close at a certain time. I never saw any camping sites or facilities when at the Ihlara valley however it is close to the local town where you may be able to find accommodation. Yesilvadi Hotel is one hotel and it is close to the valley. Hope that helps you. I am planning to walk from Belisirma to Ihlara through Ihlara valley.. And I really wanna know if we can camp there, spend the night while crossing it :D. I ve read someone tried to get in the valley at 17.30 and they didnt let him, cause then he wouldnt be able to return by 18.00, when the entrances close. Do you know anything about that? Thanks so much. That is a good idea Phil and Di as then you get to know the information from the guide and on the second occasion, can go at your own pace. We went to the Ihlara Valley as part of a day tour, too. It was a case of having to as we were relying on public transport – which isn’t great around the area. Would love to go back one day and trek the whole length and maybe camp there.